Log into AWS account and pick your preferred region. 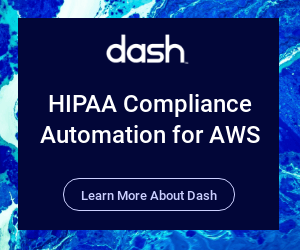 When setting up the Dash Compliance System, you must use the MASTER account in AWS. This is typically the first account your organization sets up. You can verify the master account by clicking the avatar in the top right corner and clicking ‘My Organization‘. You should see a table of accounts. The master account will have a tag next to it stating it is the master account. You must use that account to perform the set up. Create an application-specific pem key. This is done in the EC2 module. Make sure to keep this pem key accessible for future use. You will need to use that pem key to SSH in if needed. By default, SSH access is disabled but can be opened up if needed of course. Go to CloudFormation and choose ‘Create Stack’. 5. Go to CloudFormation and choose ‘Create Stack’. 6. Go to next page, and fill out the form on this page. Most fields have default values that are appropriate to stick with. Otherwise, provide a value that makes sense for your environment. 7. Go ahead and move to the next page. Press the Create Stack button. 8. The process will take a few minutes. 9. Once it is done, you will be able to access the Dash Application by grabbing the link from the CloudFormation Outputs tab. 2. The application may take up to 5 minutes to start up. 6. AWS Configuration – In this step, we will validate the AWS cloud setup and make sure that all permissions are established properly. 9. Questionnaire – Answer a handful of questions to help us tailor your configuration. 10. Final Step – Click ‘Next’ to sign in. 11. At this point, you can log in and use the application.